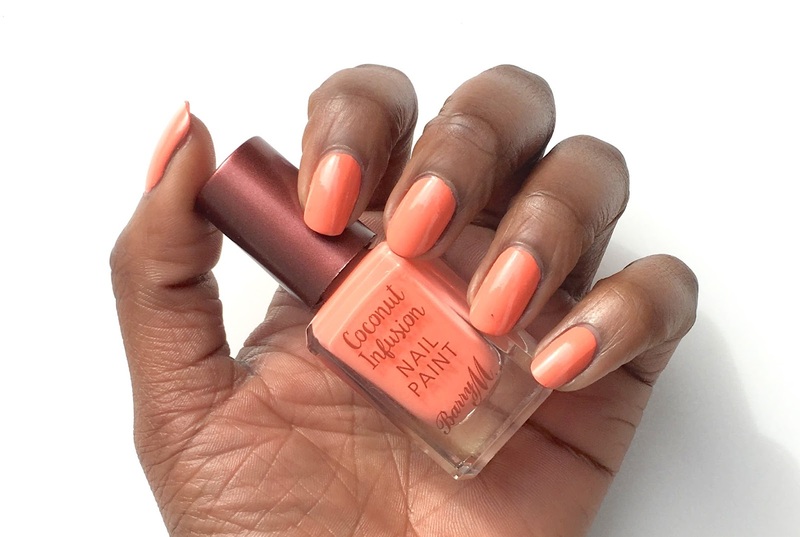 The week is not quite over and yet I am rocking a new shade from Barry M's coconut infusion collection in the form of Flamingo. 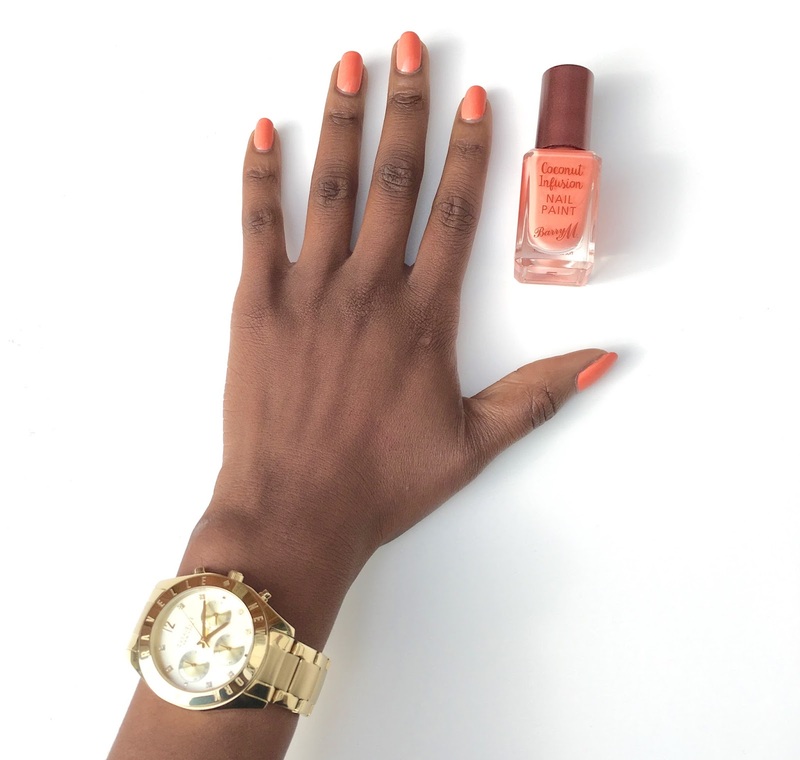 I have been itching to swatch the entire coconut collection ever since I got my hands on them hence me rocking my second nail paint shade for this week alone. 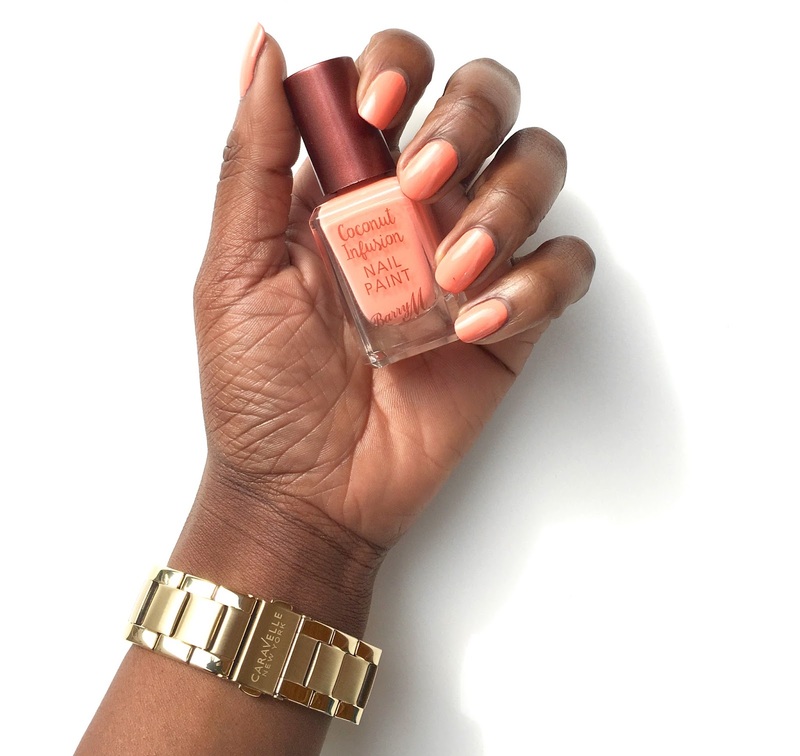 I have only just applied Barry M's Flamingo on but I am already itching to try on a new colour and I having a feeling Bikini will be the next shade I swatch. This time round not only did I omit using a base coat, I also didn't bother applying a top coat which is not something I do often. However the formulation of the coconut infusion nail paints means that I don't need to bother with either. The coconut oil and water in the Barry M coconut infusion nail paint means I need not bother with a base coat. In addition, the gel like finish of the Barry M coconut infusion nail paint means that I need not bother with a top coat as the nail paint drys with a glossy finish. Flamingo is the ideal coral shade to brighten up those outfits, a tiny pop of colour that is likely to standout with any look.